MADISON, WI – Bertrand D. Tanner has received the honor of Fellow of the American Society of Agronomy for 2005. The prestigious award was presented at the 2005 ASA Annual Meetings held in conjunctions with the Crop Science Society of America (CSSA) and Soil Science Society of America (SSSA) on Nov. 6 to 10 in Salt Lake City, UT. 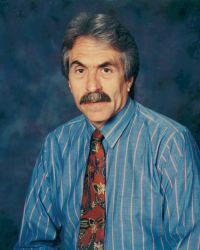 Bertrand D. Tanner is a vice-president and micro-meteorologist at Campbell Scientific Inc., Logan, Utah and has been a corporate director since 1980. In 1993, he helped form Campbell Scientific Australia and has served since as a board chairman. He received his B.S. degree at the University of Wisconsin-Madison and his M.S. degree at Utah State University. Since joining the company in 1978, Bert has been involved with environmental instrumentation and measurement practices, and with supporting applications in a variety of research disciplines. Early emphasis included the development of automated weather stations, widely deployed today in networks serving both agricultural research and producers. He has authored two invited chapters on automated weather stations. A primary focus has been the development and field operation of sensors for measuring the surface-atmosphere exchange of heat, water vapor, CO2 and other trace gases. Bert holds a patent on a fast response water vapor sensor and led his company’s participation in establishing China’s carbon flux network, a Chinese Academy of Science program. He has participated in several international measurement workshops as an invited lecturer and served on the editorial committee for the ASA monograph Micrometeorological Measurements in Agricultural Systems. The Society has been selecting outstanding members to the position of Fellow since 1924. Colleagues within the Society nominate worthy members, and they are carefully ranked before final selection is made by the ASA Executive Committee. The Society has chosen 25 individuals, based on their professional achievements and meritorious service, to receive this honor in 2005.